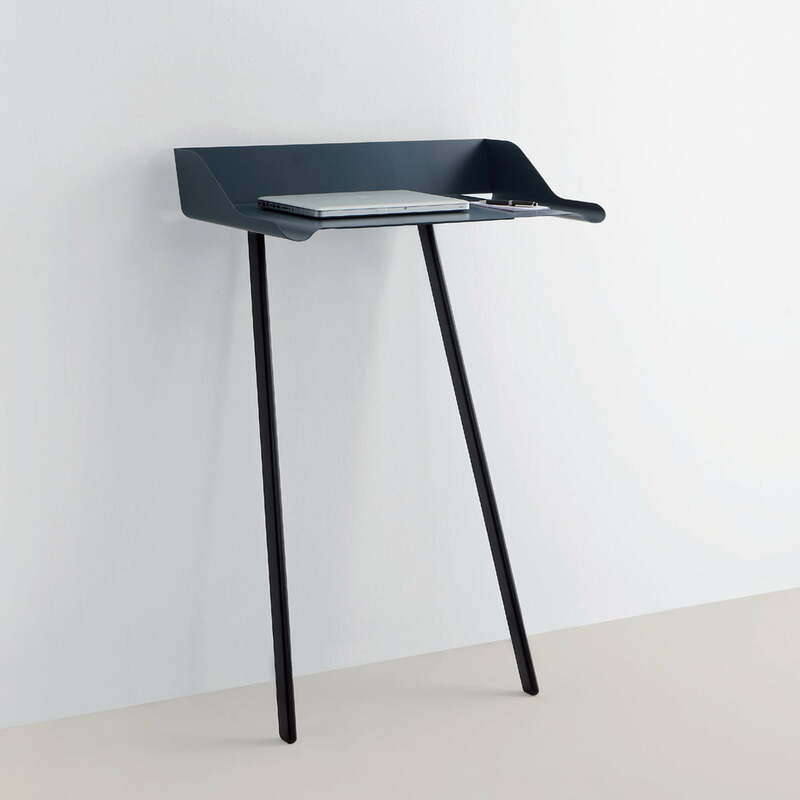 Stork is a practical office desk that leans stabile against the wall and is perfectly suitable for the work between hours, as base for the laptop or to fulfill forms and brochures in reception areas. 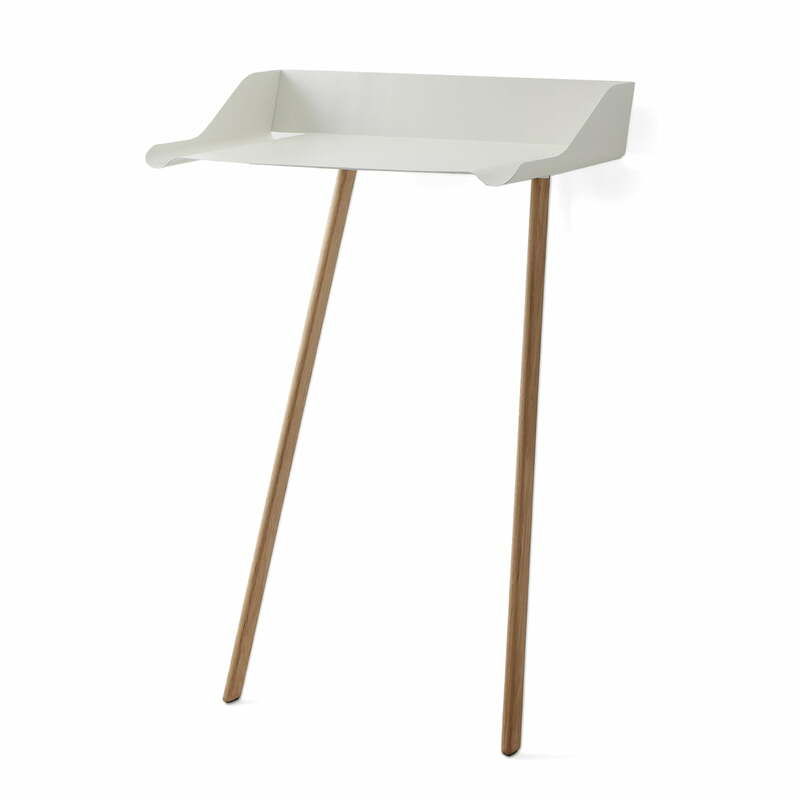 Both lateral molds serve as construction support and they are also ideally suitable to store writing items. 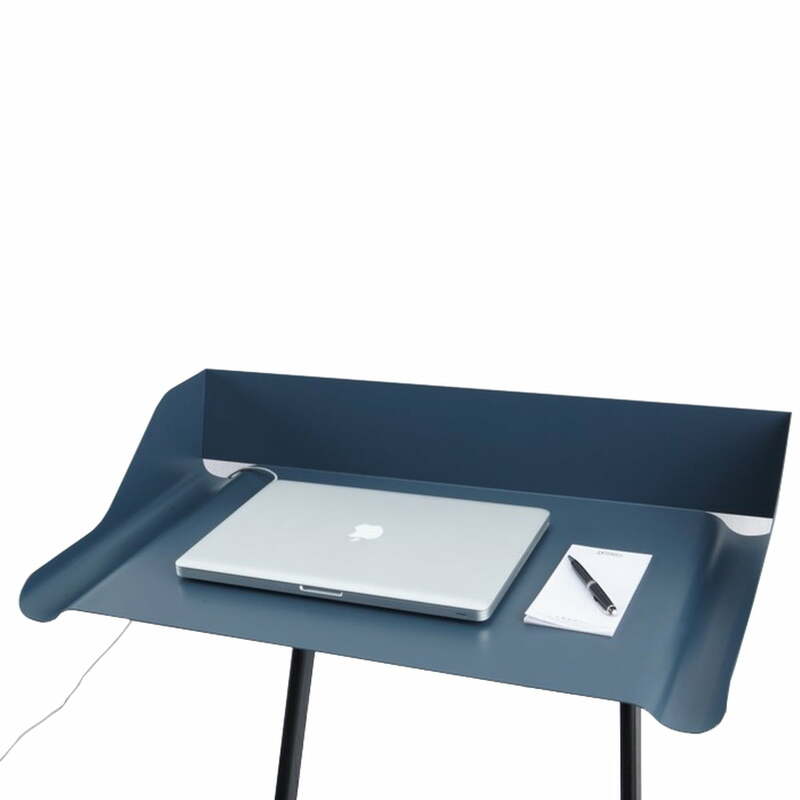 The cable can elegantly be led to the plug by a hole in the back wall. 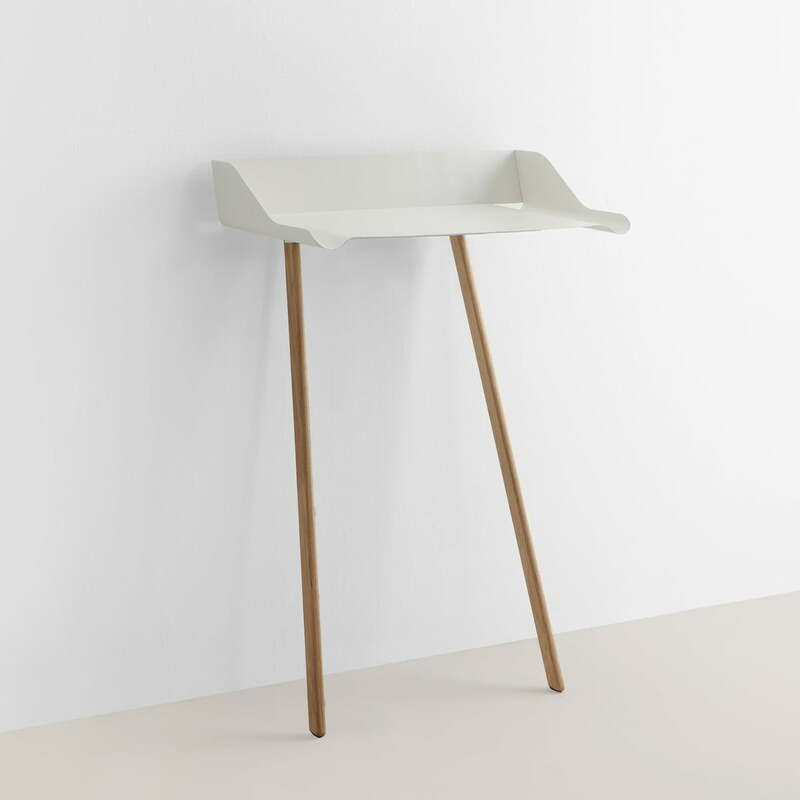 The writing area corpus of the Stork office desk consists of powder coated steel panel in white or petrol. The feet are made out of massive oak wood and available in a natural or black colour.